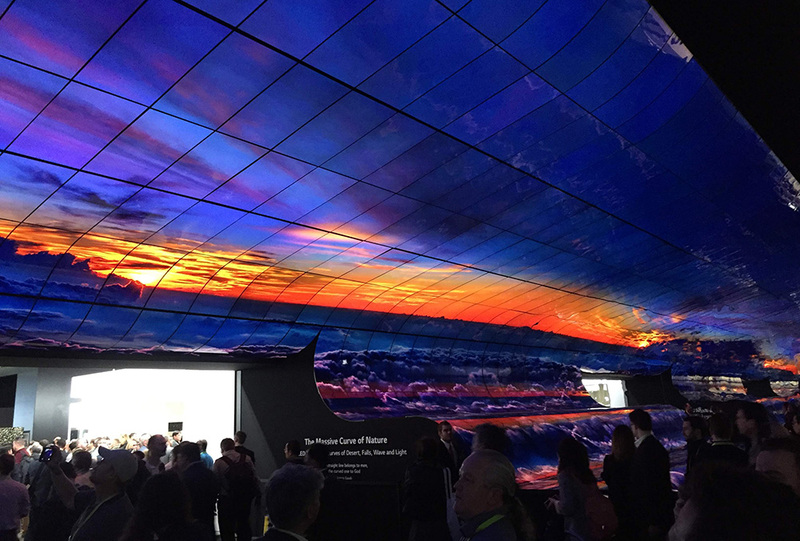 CES always seems to hit us like a fever dream; the bright lights of the Vegas strip, the deafening noise of the conference centre, the fast-paced rush of trying to see as much as possible on never-enough sleep–it comes and goes in the blink of an eye. And then we find ourselves groggy, bodies aching, and wondering if that all really did happen. This was the fourth year that we’ve sent a team to check out the largest technology trade show on the planet. 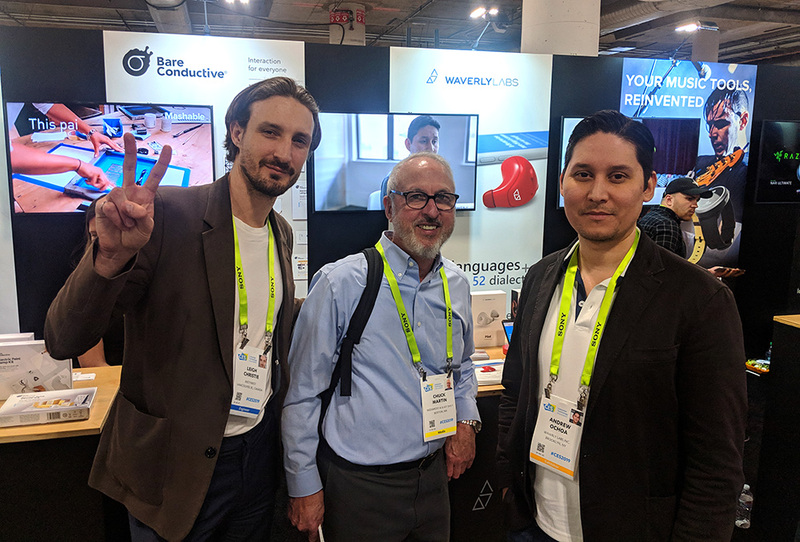 This year included a variety of Westies ranging from CES vets to CES first-timers, offering a diverse set of eyes and takeaways on the week. One takeaway off the bat from those who’ve attended before? The whole ‘booth babe’ concept needs to be left in the past. We’re hoping that 2020 and the start of a new decade will bring a more inclusive (see: progressive) approach to marketing, because with consumer technology becoming more user friendly and integrated than ever (and not to mention the greater diversity of those developing the products), targeting the same traditional male audience shows a real lack of innovation. Scantily-clad-babe-standing-next-to-expensive-car-slash-yacht is so 1985. Is this real life, or an air conditioned dream? But with broader integration of technology brings forth the concept of ‘solutions to problems that don’t really exist’. We saw self-driving suitcases, automatic toothbrushes, smart toilets with surround sound, and well… Alexa and Google Home integrated into just about anything. The future is here, and it involves as little use of analog skills (like literally just using your hands) as possible. Of course, I know I’m being facetious and acknowledge that a robotic suitcase can do wonders for someone who already struggles with mobility, but a part of me knows that I’ll be getting stuck behind one of those things while disembarking a plane, as its owner walks at a zombie-like pace while they turn-off Airplane Mode on their phone and await their missed notifications. It doesn’t help when the promo images for this product reflect my predictions either. All hail our supreme overlord Alexa! 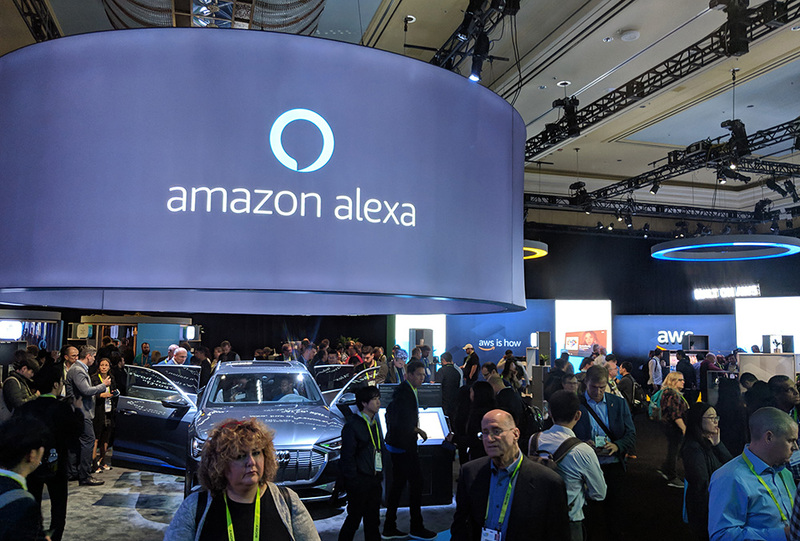 Observations of questionable marketing tactics aside, CES did offer us insight into consumer trends for the upcoming year. We already told you about the current revolution of auditory technology we are in the midst of, and Bluetooth headphones are expected to be carrying longer battery life than ever by next holiday season. Ambient Intelligence (AmI) is embedding itself into our homes and vehicles, meaning that within a year Alexa might be checking in to see if you’ve drank enough water today. TVs are getting thinner, modular, and can even roll up now, so your hipster millennial friends will have no excuse not to own one anymore. Leigh visiting Waverly Labs, the maker of Pilot: language translating earbuds. The highlight for MistyWest at CES each year is our Founders & Friends party, and this year brought us our most popular event yet. Attendance was at its best ever, with over 350 guests passing through over the course of the evening, and conversations were overheard the following day by people saying what a great experience it was. 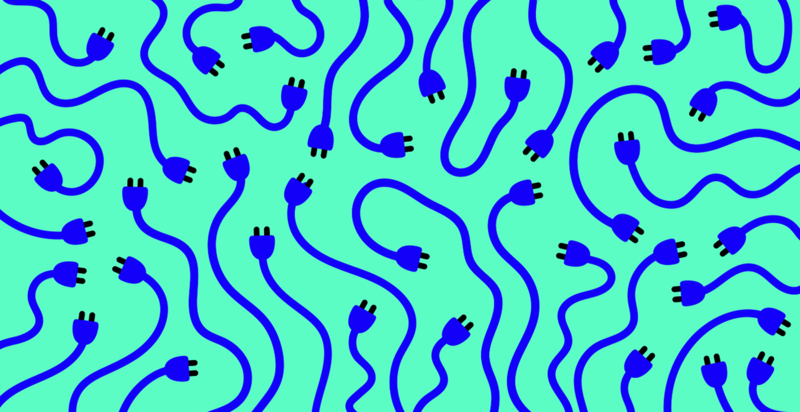 We send thanks to our hosting partners Fictiv, Indiegogo and Cooper Perkins Inc for helping us pull it off, and to our demo partners MIT Media Lab, Looking Glass Factory, Astrsk, and Type W for showcasing some cool and exciting new tech to our guests. Everyone is still talking about the interactive 3D display! The fever dream has faded and we have regained our voices since Vegas. We still expect to send a few Westies to explore the conference in 2020 as there is certainly value in attending and connecting with fellow startup founders, sales reps and vendors; CES remains one of the few conferences where you can just about bet a representative from any company you’re looking to connect with will be there. But as MistyWest continues to grow and realize our mission of creating positive impact, shifting our sights from consumer technology to events with a focus on sustainability and the ‘bigger picture’ is what we see in our future. If you want to hear a more detailed CES roundup from us, our next Hardware Meetup will be on ‘Insights Into 2019 Hardware Trends’ in late February. Want to be the first to know when tickets go on sale? Let us know in the contact form below.